Now through his intercessions he releases from suffering. 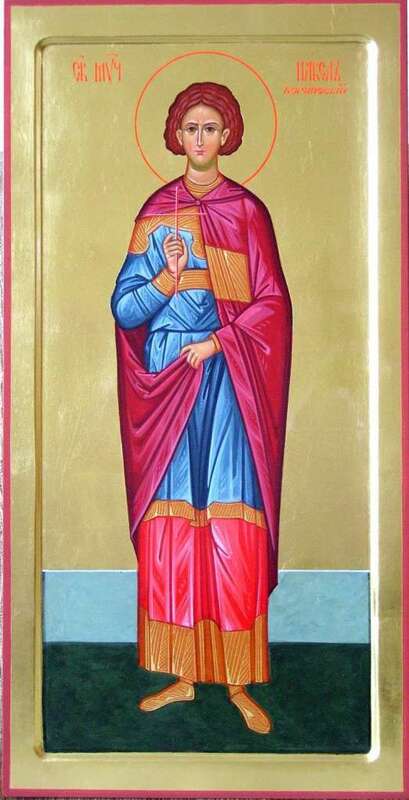 Saint Paul lived around the seventh century and was from the city of Corinth. He was born to Christian parents who raised him in piety. While still young, he withdrew to a monastery to devote his life to God, and with much labor he became an experienced ascetic. He had an especially difficult struggle with the impure spirit of fornication. One night, as Paul stood in prayer, a demon appeared to him and said that if he did not satisfy his carnal lust at least one time, he would come against him in a brutal way. With the power of the Cross and the name of Christ he drove the impure spirit of fornication away from himself, and in turn that spirit created a malicious falsehood against the Saint. One day a depraved woman came to the monastery with a newborn infant and said that the venerable Paul was the father. The holy elder received the child with joy as if it was truly his own, enduring the slander as a trial permitted by God for his benefit. Certain men then dragged him from the monastery, placed the child in his arms and forced him to walk throughout the town for the people to ridicule and spit on him, to expose him as a false monk. The baby was only a few days old. 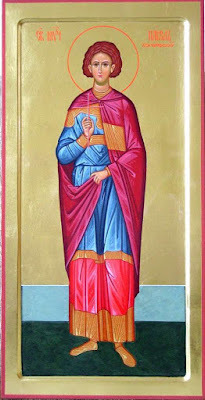 The venerable Paul then prayed fervently to God and said to the people: "Behold, let the child himself say who is his father." The child stretched out its hand from the swaddling clothes and pointed to a blacksmith and said: "That man is my father and not Paul the monk!" The adversaries of Paul then became ashamed and asked his forgiveness. God granted great healing powers to Paul so that when he placed his hand on the sick, they became whole. For this reason he became known as "the Physician". Paul reposed peacefully at the age of seventy, pleasing God by his life on earth.